The results of a recently-conducted survey by the National Highway Traffic Safety Administration (NHTSA) show that a large percentage of American drivers continue to talk and text on their cell phones while they are driving, despite being aware that driver distraction seriously increases their chances of being involved in a traffic accident. The NHTSA conducted the survey in conjunction with National Distracted Driving Awareness Month, which occurs each April in the United States. The survey showed that approximately 660,000 drivers admitted to using cell phones or other electronic devices while driving during daylight hours. That figure has remained relatively steady since 2010. What was shocking about the study was the fact that 74 percent of all drivers said they support a ban on hand-held cell phone use, and 94 percent would support a ban of texting while driving. The NHTSA even conducted research to determine drivers’ thoughts on appropriate punishment for violating the law. Overall, drivers thought the fines for texting while driving should be at least $200. 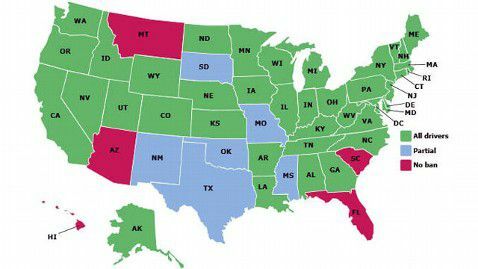 Texting while driving and other types of cell phone use behind the wheel are currently banned in 39 states and the District of Columbia. 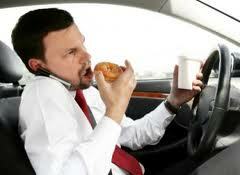 However, 43 percent of teenage drivers surveyed by AT&T admitted to texting while driving. 49 percent of older drivers made the same admission to AT&T researchers. Many states that have enacted bans on the use of hand-held cell phones still allow drivers to communicate with hands-free methods, including via Bluetooth or a wired headset.